Undeterred: Sanctuary Celebration and Screening. The People’s Defense Initiative and Loft Cinema are hosting a screening of Undeterred, a documentary about community resistance in the rural border town of Arivaca. Through the years, the town has battled through the impacts of NAFTA, 9/11 and the Obama and Trump administrations. The film will be followed by a Q&A with the director and community advocates. This premier will also be a fundraising effort with proceeds benefiting People Helping People in Arivaca and People’s Defense Initiative in Tucson. 5:30 to 7:30 p.m. Tuesday, March 26. 3233 E. Speedway Blvd. $10. Details here. Tucson Art Book Club: A Reading with Arthur Hittner. Join the Tucson Art Book Club for a reading with author Arthur Hittner. Hittner will read from Artist, Soldier, Lover, Muse, one of his novels inspired by a New York City artist who died during World War II. The reading runs from 3:30 to 5p.m. at Dusenburry-River Library, 5605 E. River Rd., Ste. 105. Details here. 2019 Spinach Day 5K & 10K. Did you know there's such thing as National Spinach Day? Neither did we! 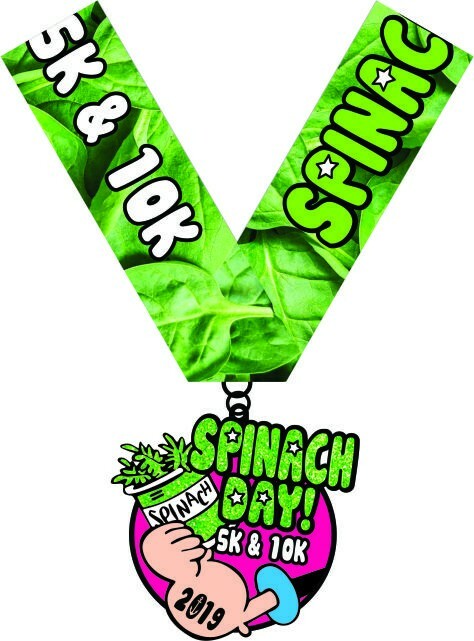 Well apparently National Spinach Day is March 26 and what better way to spend it than to show off and run in this 5K & 10K! 15 percent of each registration fee will be donated to Heifer International, an organization that works to end hunger and poverty and to care for the Earth. This is a virtual race that can be done from any place and any time, from March 26-31. So how does that work? You run any place any time and submit your time. Then, your receive your medal in the mail! Cost is $20. Details here.